I love traveling myself and enjoy helping people plan their vacations. People would always ask me to help them find and plan their trips and I would! So, I decided to take it further and open my own home based business to help more people with their travel and gain more knowledge to better help them in the process. I started Adams Global Travel. In 2017, I joined My Vacation Lady. I feel you can never know everything about Travel, but the best way to learn is to LIVE it! 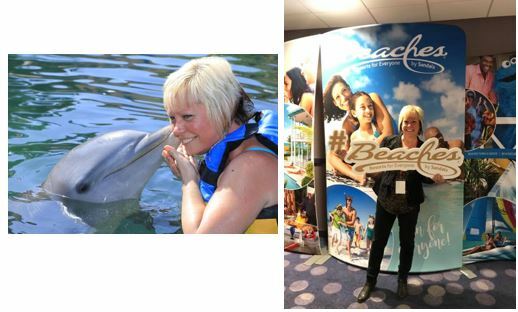 I am a Sandals Certified Specialist, RIU Specialist, Magic of Mexico Specialist, Sandos Smart Agent, Cancun, Aruba and Jamaica Specialist, Disney College of Knowledge graduate, Club Med Expert Agent, Xcaret Expert and Dolphin Discovery Specialist. I specialize in All Inclusive vacations/packages, Honeymoons, group travel, Destination Weddings, Disney and cruises. My mission is to gain repeat customers and build my business with satisfied customers by assisting them in finding and planning their trips within their budgets that match their needs and desires! I am always here to help you plan your next trip with whatever your travel needs may be!